ROME, Italy (July 30) - The opening day of the 2018 European Juniors kicked off today in Rome, Italy and nine nations qualified a wrestler for tomorrow’s Greco-Roman finals. 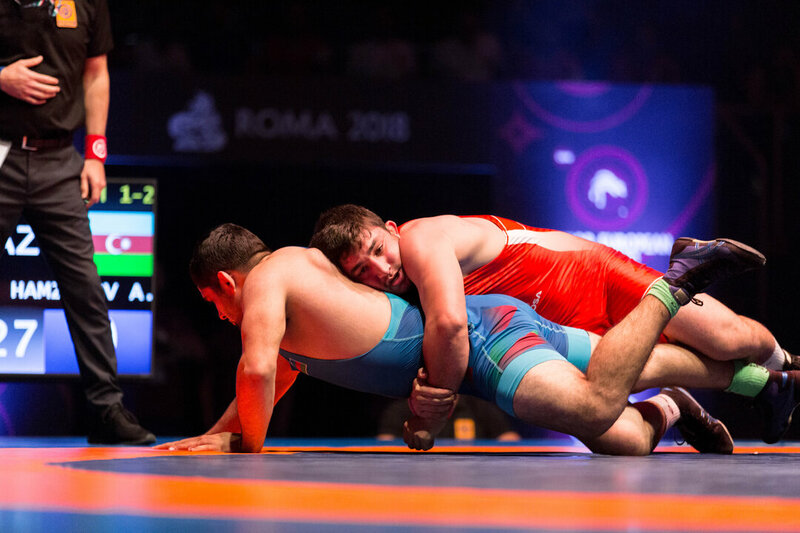 Russia was the lone nation to put more than one wrestler in the finals, as Oleg AGAKHANOV (RUS) and Egor KADIROV (RUS) each reached the finals of their respective weight classes. Oleg Agakhanov gave Russia their first finalist after he outscored Artsiom SHUMSKI (BLR), 10-0 to make the 130kg finals. 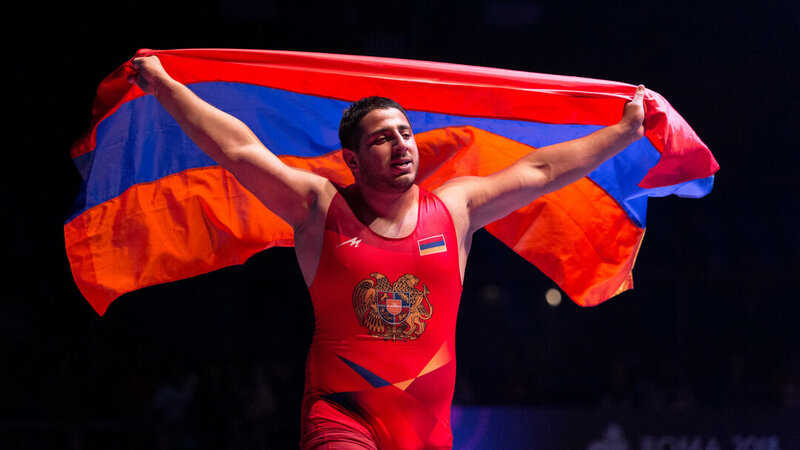 Agakhanov, the 2017 Vantaa Painicup will go head-to-head with Germany’s Cerro Pelado International bronze medalist, Franz RICHTER for the heavyweight title. In the semifinals, Richter blasted through Beka MAKARIDZE (GEO), 8-2 to make his way to the European Junior gold-medal bout. 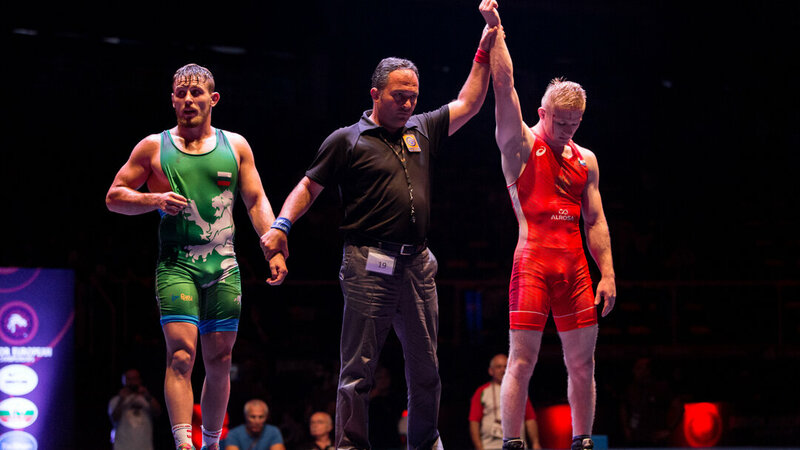 Egor KADIROV (RUS) was the second Russian wrestler to make the finals, shutting out 2016 Cadet World team representative, Vahe POGHOSYAN (ARM), 9-0 to make the 77kg championship match. In the finals, Kadirov, the 2016 Vantaa Painicup champion will wrestle Bulgaria’s 2016 Cadet World team representative, Zahari ZASHEV. 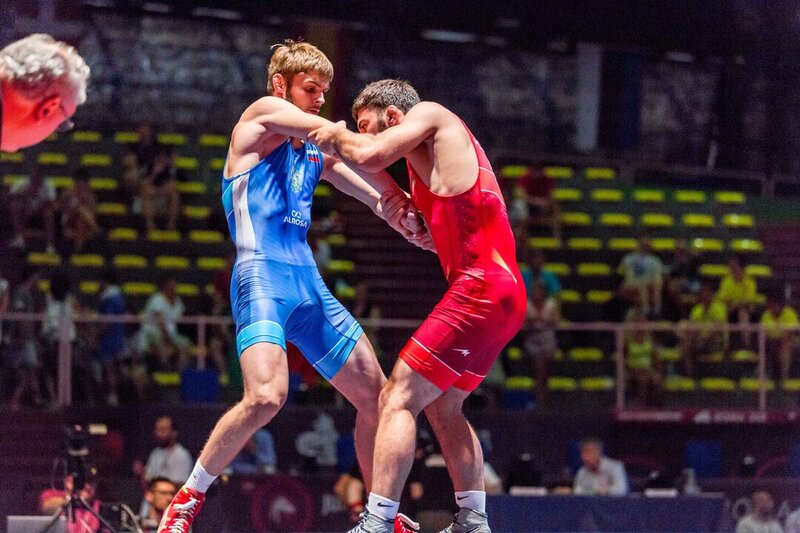 Nearly all of the finalists have previous age-level European Championship experience, but none have reached the gold-medal bout, meaning five first time continental champions will be crowded tomorrow.